The Ministry of Labour, Local Government and Rural Development in collaboration with the United Nations International Children’s Fund (UNICEF) and the National Committee for Families and Children (NCFC) hosted a two-day event, October 11th & 12th 2018, for mayors and councillors with responsibility for the implementation of the Sustainable & Child-Friendly Municipality Initiative (SCFMI). The event was hosted at the Lodge at Jaguar Reef in Hopkins Village, Stann Creek District. The event entitled ‘Strengthening the Means of Implementation and Revitalizing Partnerships for Sustainable Development’ had the participation of the Minister of State in the Ministry of Labour, Local Government and Rural Development, Senator Honourable Dr. Carla Barnett, mayors of the nine municipalities, Chief Executive Officer in the Ministry, Mrs. Sharon Young; UNICEF Representative, Dr. Susan Kasedde; Executive Director of the NCFC, Mrs. Margaret Nicholas; and NCFC’s Chairperson, Mrs. Pearl Stuart; among other key technical and administrative staff from the participating organizations. Minister Barnett delivered the keynote address during opening ceremonies on Thursday, October 11. In her address, Hon. Barnett implored upon the mayors and the councillors that their declaration of their recommitment to the SCMFI is not to be perceived as symbolic or ceremonial, but as a demonstration of their will to make their municipal spaces child-friendly and the best place to raise a child and a family. She also reminded the participants that the best chance for the sustainability of the program is the participation and involvement of the children through the various Children Advisory Bodies (CABs). “Listen to the children, they will guide you,” the Minister said. 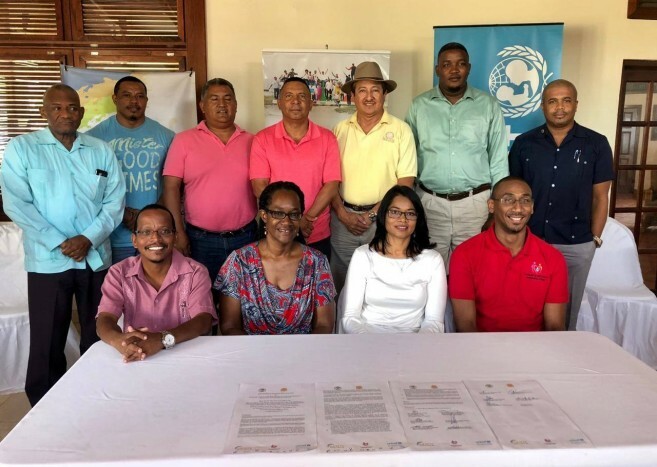 Over the course of the two days, the participants reviewed and deliberated on the provisions and mechanisms that are articulated in each of the nine municipal strategic plans that have been designed for the implementation of the SCFMI; plans that are aligned with Belize’s Children Agenda 2030 that the Government of Belize has committed to. 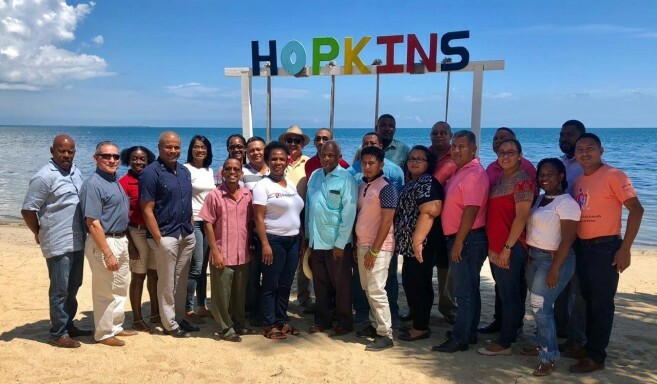 As a demonstration of their commitment to implement the initiatives outlined in their respective municipal strategic plans with the view to be declared as certified child-friendly communities by 2021, all nine mayors signed a Memorandum of Understanding entitled the ‘Hopkins Mayoral Declaration’. CEO Young, Dr. Kasedde and Mrs. Nicholas countersigned on behalf of their respective organizations confirming their roles as enablers and facilitators for the implementation of the Initiative.